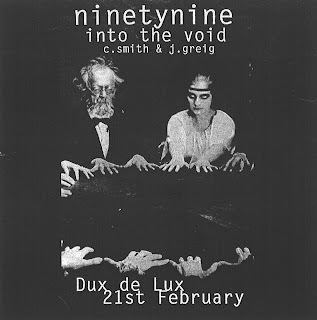 I remember sometime in 1989 or thereabouts, my flatmate Dianna came home from seeing these guys and said to me: "my god rob, you HAVE to see Into The Void!" It was basically an order. So weeks later i obeyed...... like a trained seal. The pub was dark, the red light glowed, the smoke machine bellowed and Into The Void screeched and growled through a sinister set of art rock noise to the arm folded, seemingly unimpressed masses. They were awesome! I was gobsmacked. I also recall a time a year or two after that event when i dragged my friend Steve to see them. he was involved in the scene in Dunedin and hated Christchurch bands. Into the void changed his mind. He just stood there with his mouth open (though i have a feeling medication contributed to his feelings of elation). ITV are survivors too. Still playing occasionally, even though half the band live in Melbourne and the other half in Christchurch. 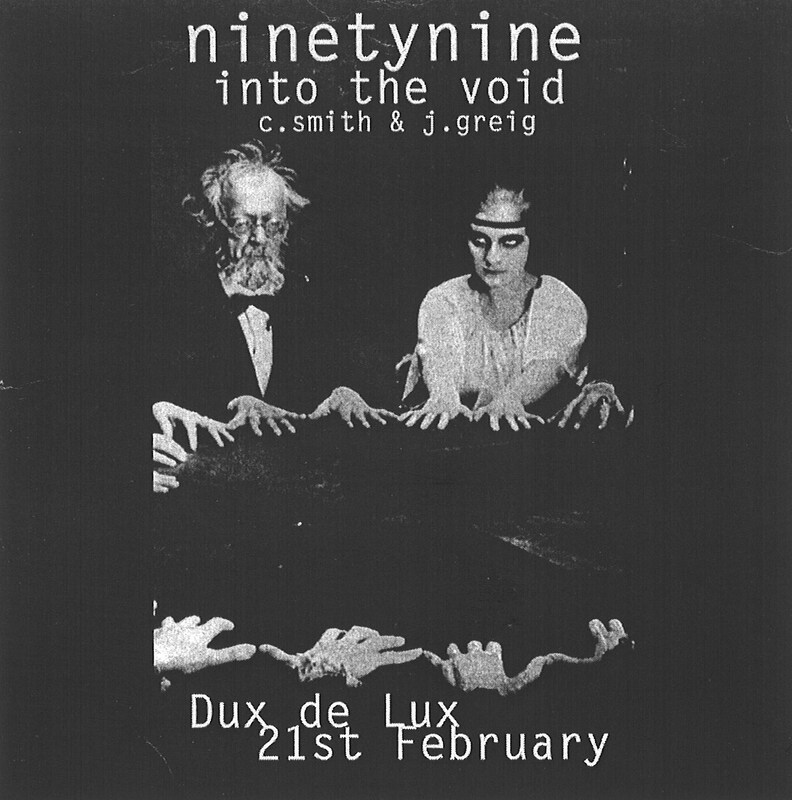 This live recording is made all the more poignant by the fact that the dux (currently reinventing itself elsewhere) is no longer in its original location, thanks to the enormous earthquake that flattened half the city. It sux not having the dux.... you couldn't beat the location. I don't know who recorded this but the quality is really good. There are also two songs (trk 4 & 8) whose titles remain unknown thus far. If someone knows what they are (James.... i know you're out there....) please enlighten us. (Since posting this, James has sorted out the tracks for me so she's been reloaded with all titles intact..... thanks Jimmo! ).